Getting on Twitter and reaping all of its benefits takes a significant investment of time. But Twitter (more so than other forms of social networking) will bring you tremendous personal and professional benefits, if you do it right. 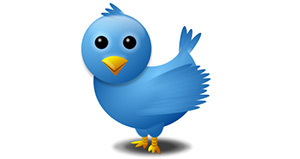 Coming up soon we're going to dish out some ways that you can be successful on Twitter. For now, let's talk about why you should sign up in the first place. Almost everyone is on Twitter. It's getting close to achieving ubiquity like Facebook and MySpace, and so people expect that you Tweet. If you're trying to get a new job, your potential employer is going to want see what you're tweeting about. If you meet someone new, they're going to want to hook up on Twitter. If you're not on Twitter, you're being left out of one of the most significant movements in social networking since the internet went mainstream. Also, realize that it takes a while, sometimes months, to become established on Twitter, so the sooner you get started, the better. As we'll find out later, Twitter is about exchanging value, whether it's in the form of a link to an interesting article, a quick tip, or a bit of information that your followers may find interesting. If you do this, people will be eager to help you. Looking for a recommendation on a new camera to buy? Want to drive traffic to your new personal blog? Want to find out which color hat looks best on your head? If you have a handful of quality followers that respect and value what you have to say, they'll be more than willing to lend you some help by providing advice and information. Twitter can be a fantastic personal resource and asset. A chief professional benefit of Twitter is to be able to connect with your audience, whether you're selling an iPhone app, trying to promote a YouTube channel, or encouraging people to choose you for all of their web design needs. You can monitor the needs of your customer, cater your product/service to them, and present it to them on Twitter. Because your followers value what you say (or else they wouldn't be following you), they're much more likely to download your app, click through to your video, or hire you to design a new website. But perhaps you're not looking to sell anything. Perhaps you're trying to find a job or just get into a school that offers a good engineering program. We've heard stories of people tapping their Twitter network to help them find gainful employment, or enrollment at a desired school. Stop wasting time, get on Twitter and start getting followers. To help you get off the ground, we've got a couple of additional articles planned that will divulge the methodology behind using Twitter successfully, such as the all-important "how to get followers."